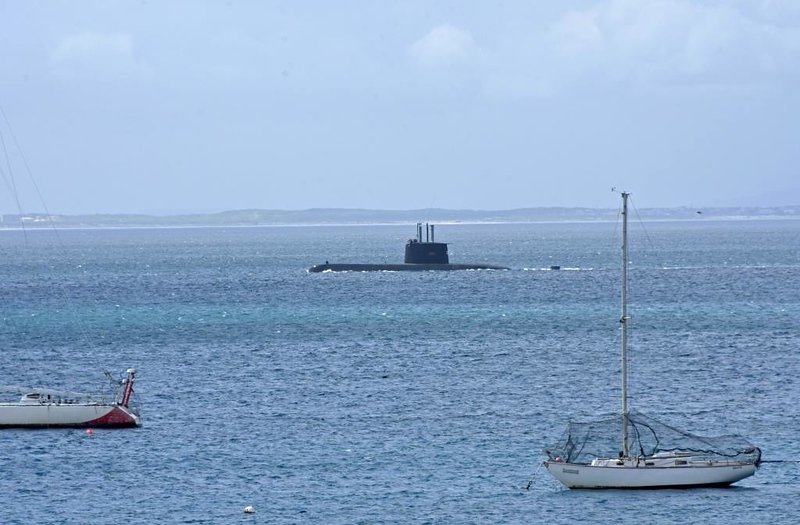 South African submarine S101 Manthatisi, Simon's Town, 13 September 2018. Built in Kiel by Howaldtswerke, launched in 2004. In the distance is the shore of False Bay.